Georgia Tech-Lorraine is the European campus of the Georgia Institute of Technology. All admissions to Georgia Tech-Lorraine are handled through Georgia Tech in Atlanta. One cannot apply directly to Georgia Tech-Lorraine. There are no direct admissions to Georgia Tech-Lorraine. Georgia Tech-Lorraine is not a degree-granting institution. Students studying at Georgia Tech-Lorraine are working towards a degree granted by Georgia Tech in Atlanta. High school students and recent graduates are not eligible to enroll at Georgia Tech-Lorraine. Students with a French Baccalaureate (Bac) or a Baccaulaureate from any other country are not eligible to enroll at Georgia Tech-Lorraine. Undergraduate students currently enrolled at non-U.S. universities are not eligible to enroll at Georgia Tech-Lorraine. 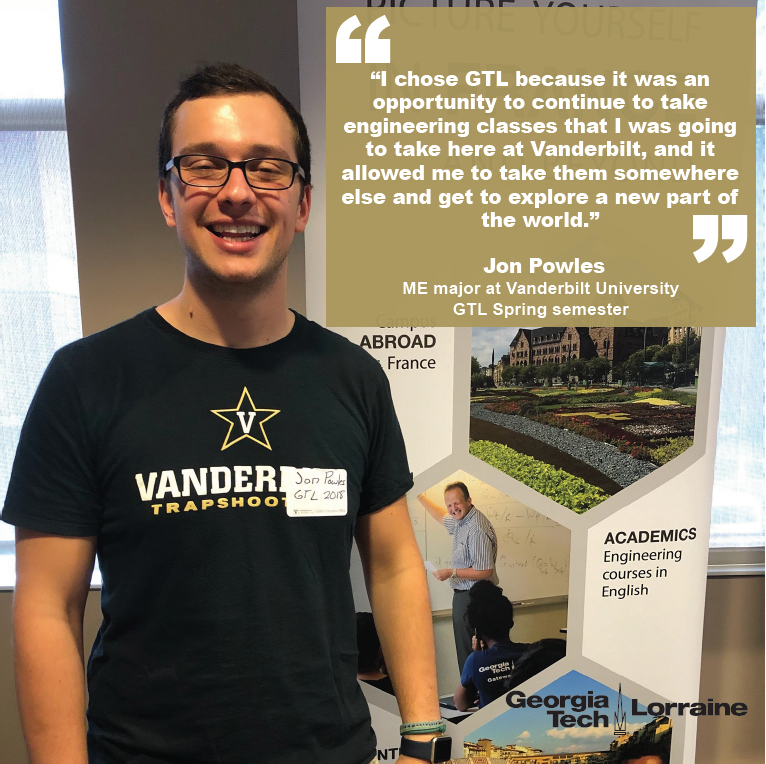 Only US citizens and US Permanent Residents (Green Card holders) will be permitted to apply and participate as transient students on the Georgia Tech-Lorraine program. Students from other universities on other types of US visas are NOT permitted to apply.